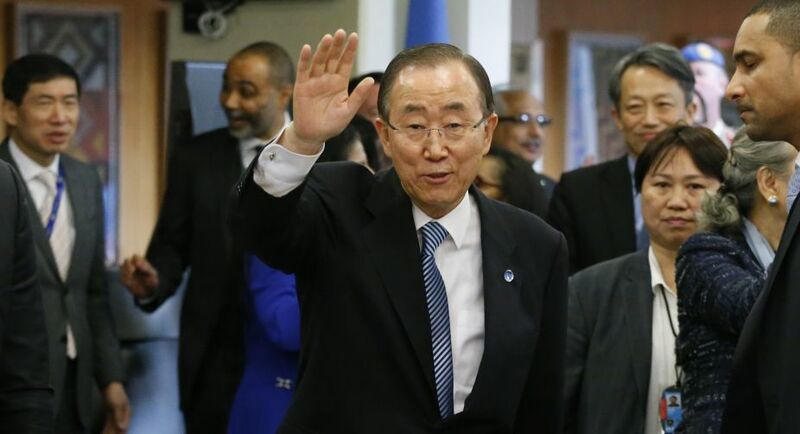 Outgoing UN Secretary-General Ban Ki-moon on Friday bid farewell to the United Nations where he has worked for 10 years. Ban said "thank you" to UN staff here at UN headquarters before his departure and encouraged them to keep working hard on UN causes and never give up, Xinhua news agency reported. A crowd of UN officials, staff members, diplomats gathered here to see him off. Ban told the crowd that he will join the New Year celebration at the Times Square in New York City on Saturday. He will push the button beginning the official 60-second countdown to the New Year, and call on people worldwide to take actions in support of the Sustainable Development Goals (SDGs). "Millions of people will be watching as I lose my job," he quipped. "Now I feel a bit like Cinderella. Tomorrow at midnight, everything changes." Ban's tenure as the eighth UN Secretary-General started on January 1, 2007 and will end on December 31, 2016. Portugal's Antonio Guterres will succeed Ban on January 1, 2017.